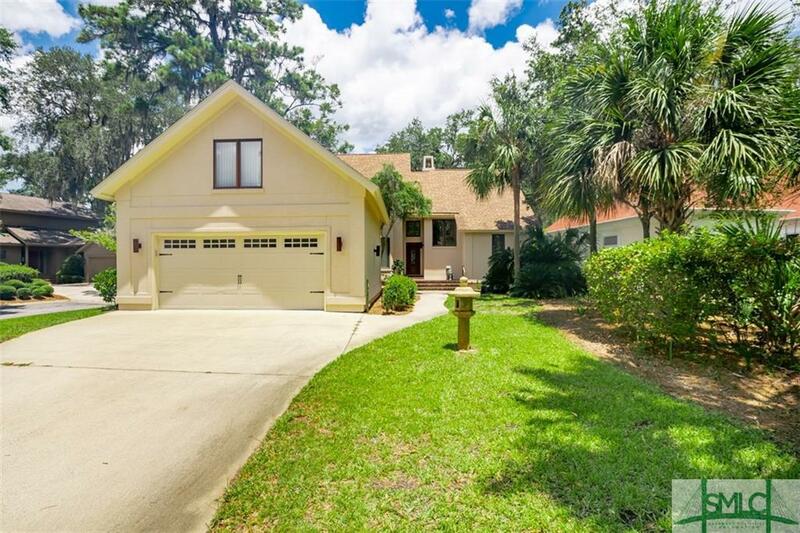 Beautiful hard coat stucco patio home overlooking Western Marsh views in highly desirable Delegal Creek area! Open floor plan with walls of windows. Master on Main with his and her closets. Two bedrooms and one full bath up. Great bonus room that could be used as an artist's studio, separate dining room, porch, wet bar, built in cabinets. 2 car garage with golf cart door, hardwoods and gas fireplace in main living area.